I couldn’t really believe it myself, but there I was in Ohio in the beginning of November, and politics were the last thing on my mind. In the rural county of Hocking Hills, a land of limited cell reception and winding forest roads, Romney and Obama’s automated “will you please just vote for me already” phone calls would have needed a bloodhound to track me down amongst the tall pines. The election is an important thing, for sure, but to be honest I couldn’t have been happier to step out of the crossfire without taking one side or the other. 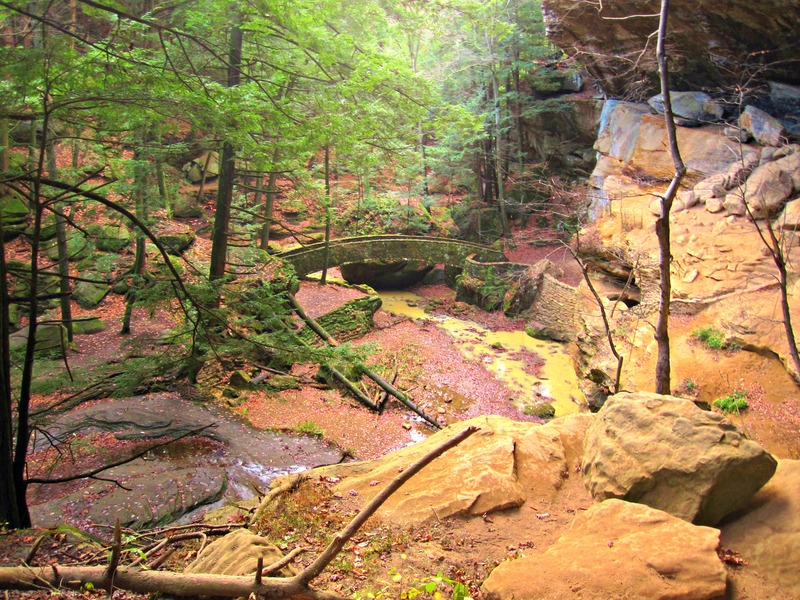 Hiking near Old Man's Cave in Hocking Hills. 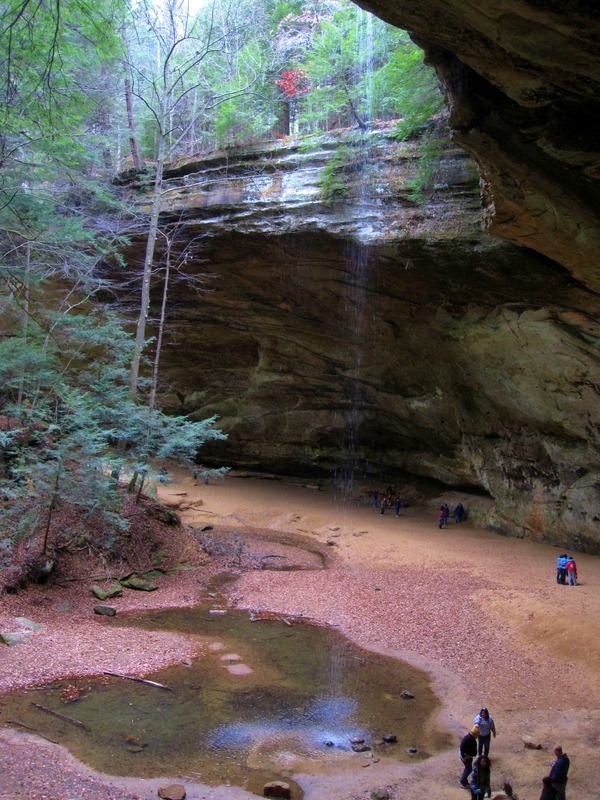 Despite what the name would suggest, there are no great changes in elevation in Hocking Hills. 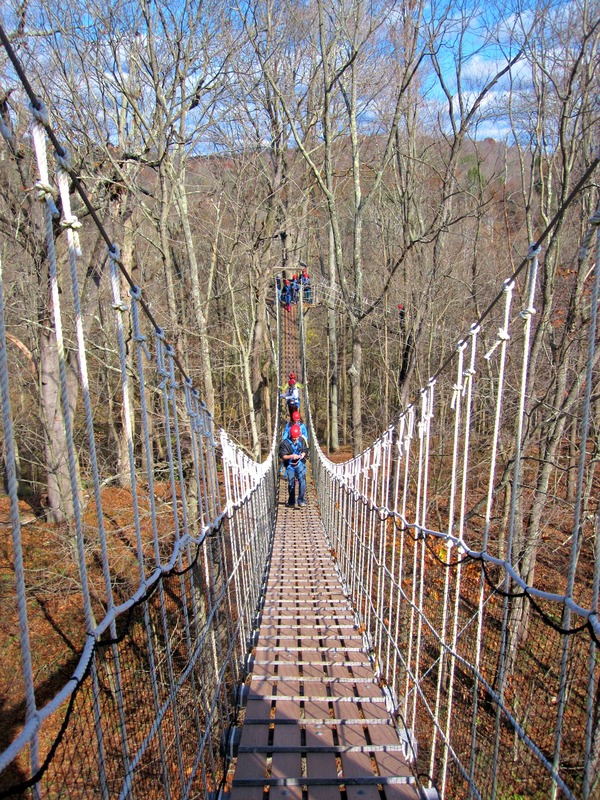 While it’s not flat as far as the eye can see, describing the area as hilly would be close to an overstatement when you’re evaluating it based on adventure travel standards. 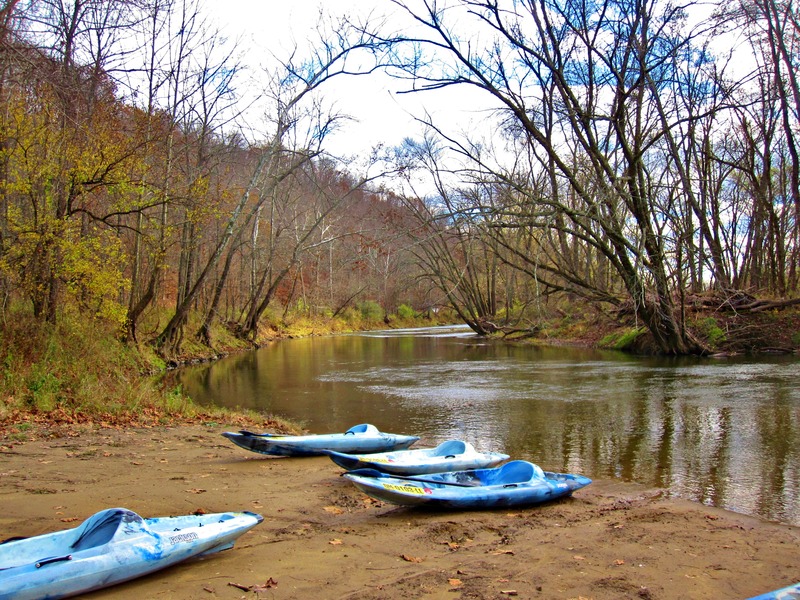 Ohio is not the west, but that is not to say it doesn’t have a few solid options for losing yourself in the outdoors. 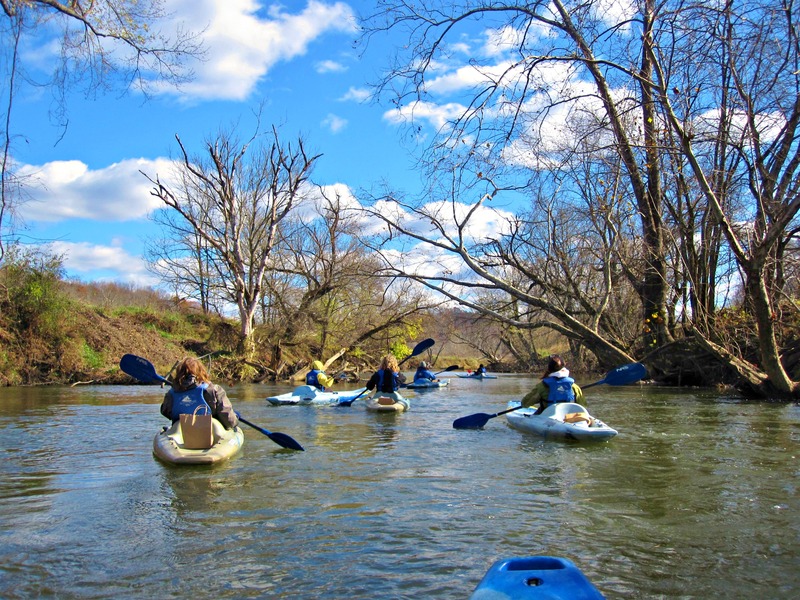 It’s actually a great place for those who want a full dosage of the wilderness without having to carry their clothes on their back – most of its gems are highly accessible, perfect weekend getaways for those living in Columbus (1 hr ), Cleveland (3 hrs), Cincinnati (3hrs), and Pittsburgh (3 hrs). While I never associated Ohio with a paved landscape, glaciers actually took a large toll on the area. 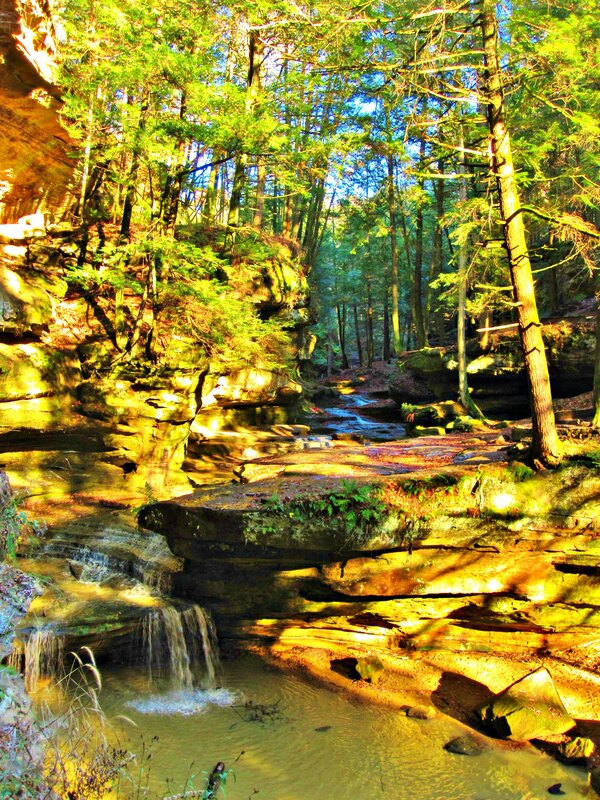 The best example of this is found in Hocking Hills State Park, known for its glacier-carved, historically-smothered sunken valleys. 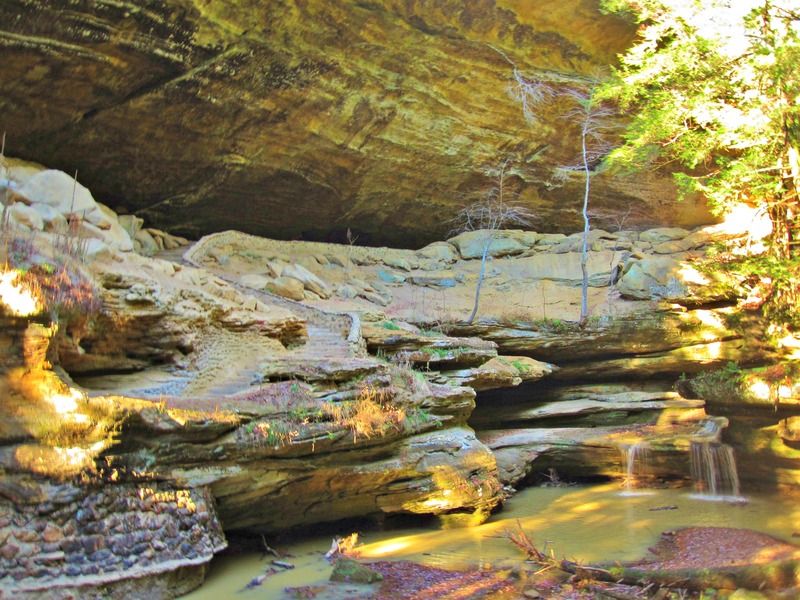 The headline attraction, Old Man’s Cave, is supposedly haunted by a man and his two dogs who lived and died in the cave in the late 1700s (the man was found dead by a group of men passing through and is buried somewhere in the vicinity). At night, visitors and park rangers have reported hearing barking dogs, only to arrive at the cave and find nothing. Ash Cave – a larger, more dramatic cave in the State Park – is also apparently one of the most haunted places in the area, with reports of loud “drumming” heard throughout the night. I say apparently here and supposedly above because, as I explain here, ghosts don’t seem to want anything to do with me. The cave is beautiful, though, and the largest in Ohio. Hiking near Ash Cave in Hocking Hills. 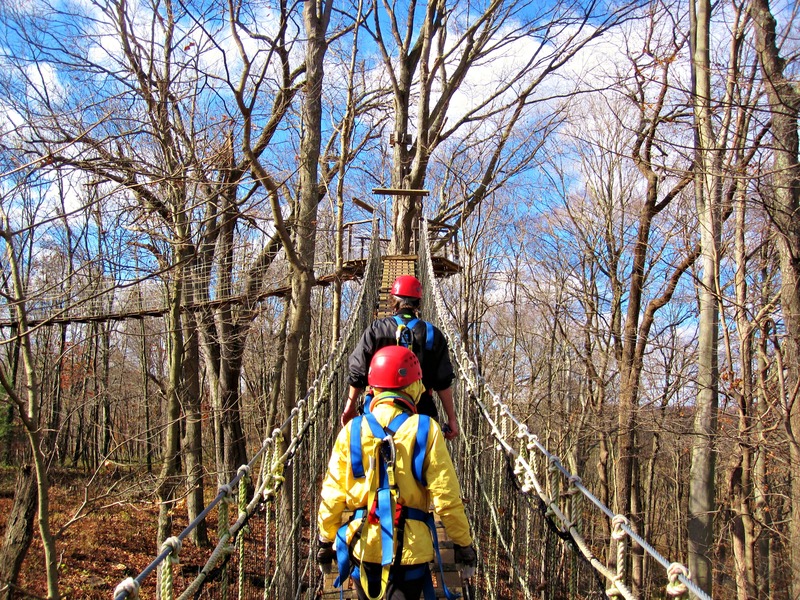 Zip-lining, kayaking, and caving are all other options for visitors to the area. 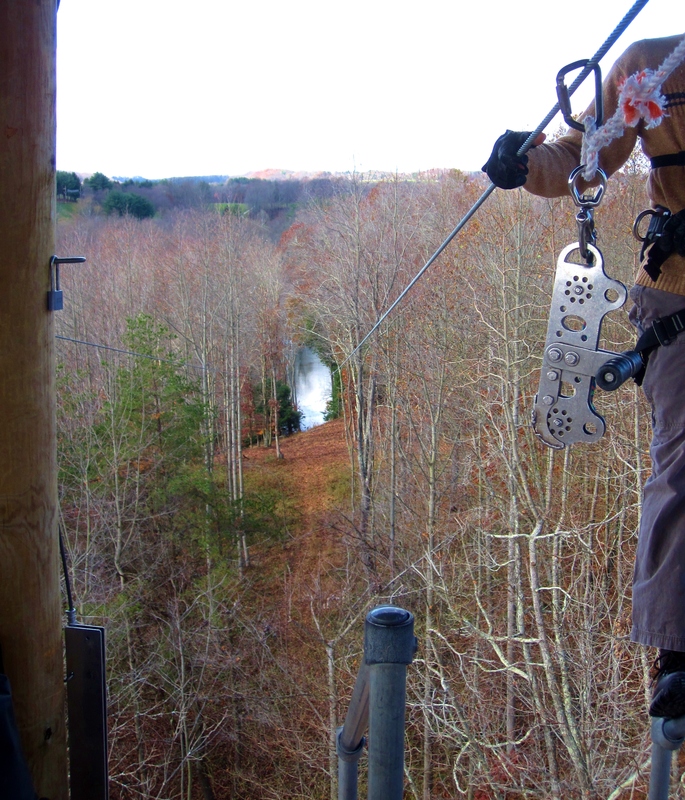 You can fly superman-style with Hocking Hills Canopy Tours (my friend Kristen of Hopscotch the Globe is going to be making a video that will include this ride, so I’ll be sure to pass it along when it comes out for a visual), paddle down the Hocking River with the Canoe Livery , or take a scenic flight for an aerial view of the inspiring colors, caves, and waterfalls. For lodging, I was invited to stay at the Inn at Cedar Falls. While the first thing you come across on their website is that they have free Wifi, don’t get the message twisted – a stay at the Inn is a damn-good escape (awful cell phone reception, which I enjoyed). They just added a spa cabin and you have the option of staying in a private cabin or a single-room in a lodge. 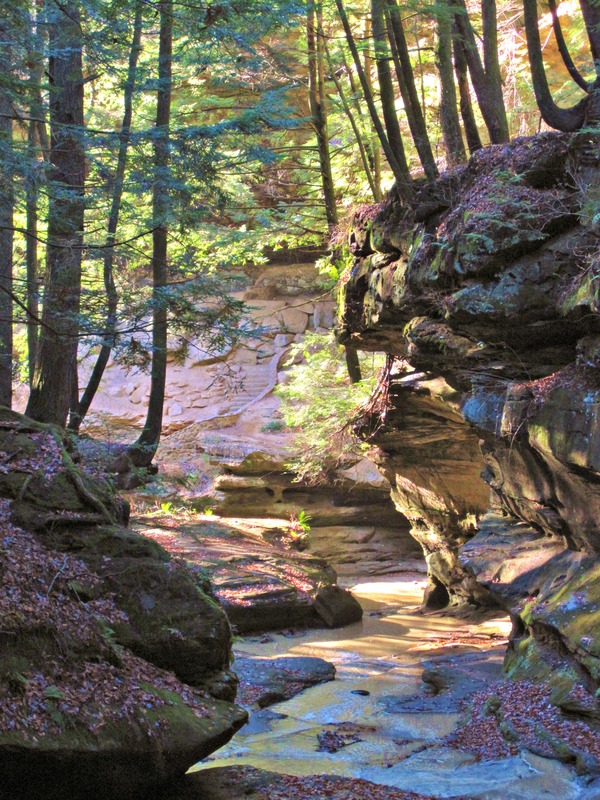 Its location a few miles from Cedar Falls and a five-minute drive from Hocking Hills State Park puts you right in the thick of it. One thing I would highly recommend would be to plan this trip for late September through mid-October, when the fall colors are at their peak. 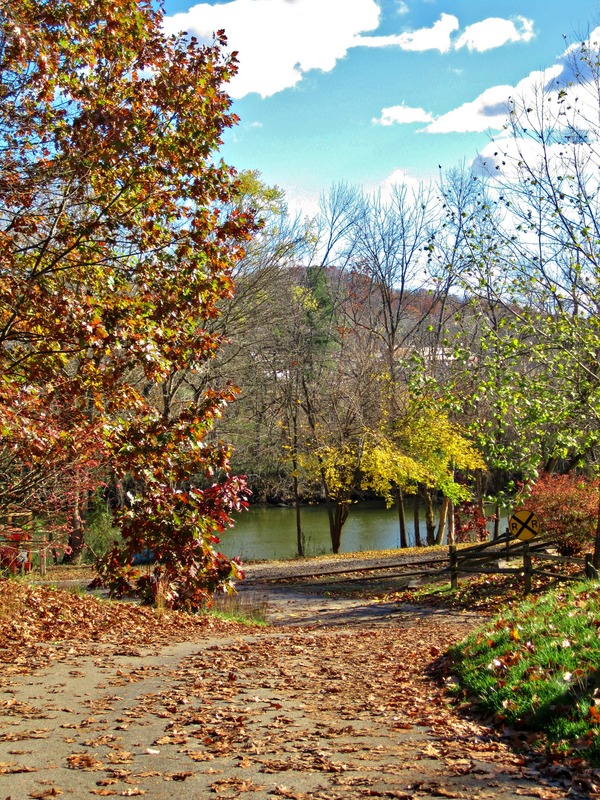 We caught the tail end of it all – the winds from Sandy sort of spoiled it – but the potential was beyond evident. 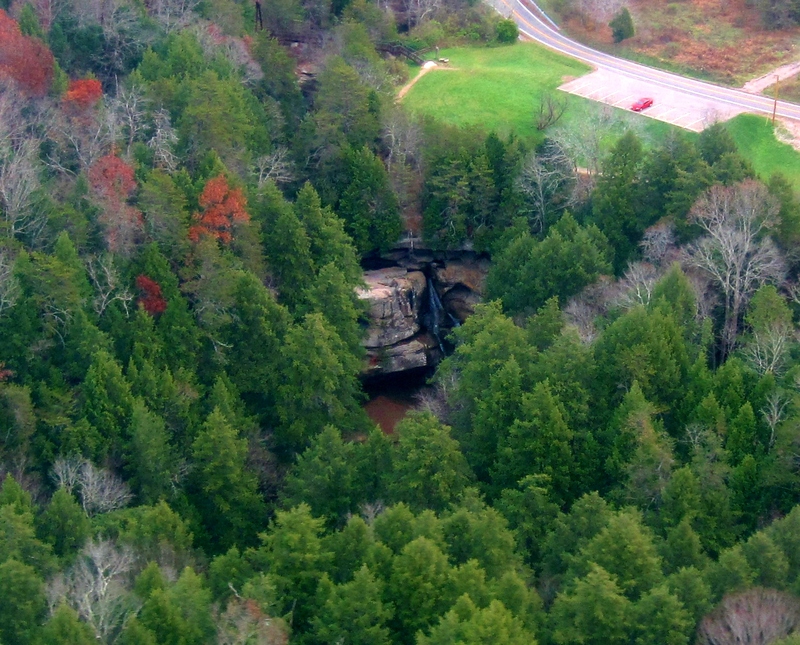 Scenic flight over Hocking Hills. Last of the fall scenery near Hocking Hills. Hiking near Old Man's Cave.